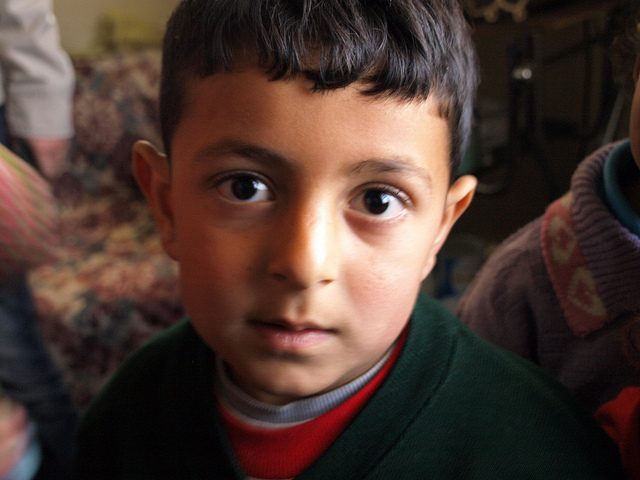 DAMASCUS, SYRIA – Syrian boy Anay Khalid told his mother yesterday that he would like to be a fireman if he survives the civil war and gets to grow up. According to his mom, the 6-year old has always loved helping people, and barring an early death due to rebel cross fire or road side bombs, the young man wants to apply to the Damascus Fire Department and help those in need. “I really like the outfits,” said the child who can only achieve his dream if he makes it to DFD’s minimum age of 18, which seems less likely with every passing day in the war torn country. Not only will Anay need to pass the department’s difficult entry exam and rigorous physical tests, he will need to refrain from joining the rebel and army recruiters, avoid any IEDs just lying on the busy streets, and stay away from any government buildings so as not to become collateral damage from U.S. drone attacks. “If I can do all that, then hopefully I can help save lives.” Because of the recent chemical attacks ordered by President Bashar al-Assad, Anay’s 10-year-old sister, who wanted to be a veterinarian, will not grow up.